Category: Blankets and Throws. Tags: cotton blankets, handwoven, Morocco, New, pom pom blankets, striped blankets. Our 100% cotton blankets in natural and slate grey work perfectly in a Scandi, contemporary or modern rustic interior bedroom or sitting room. 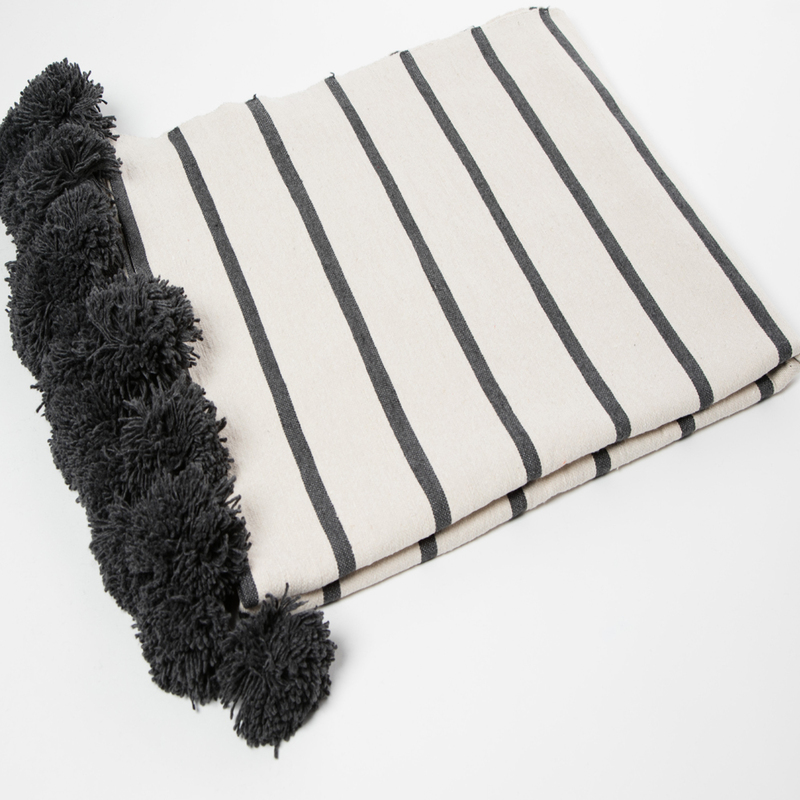 The stylish stripes will instantly update a bed or sofa. Scroll over the photos to see the blankets in more detail. 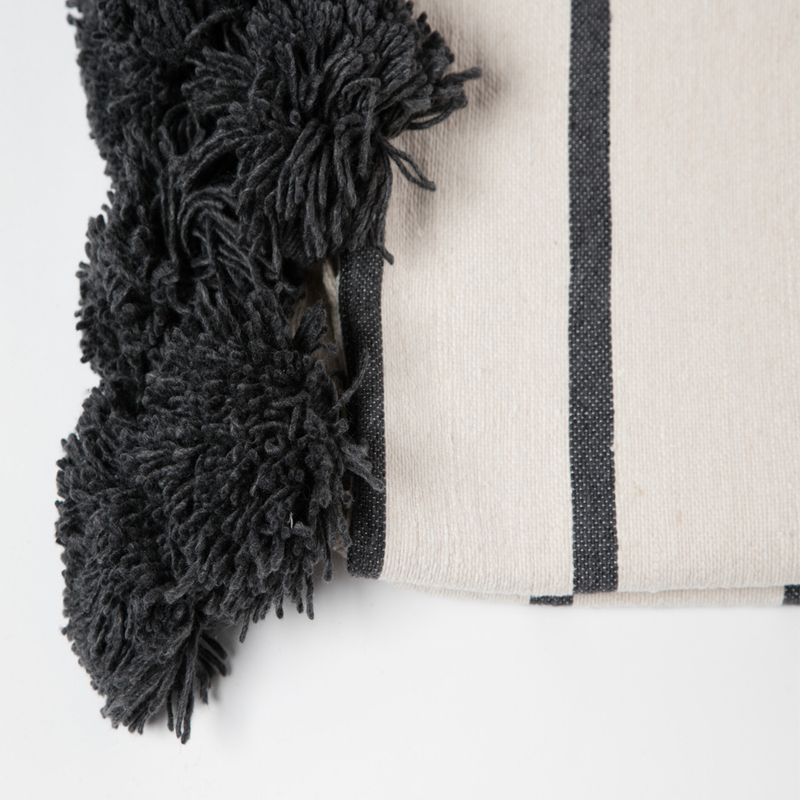 All our cotton blankets are hand-woven by weavers in Morocco on traditional wooden looms.